Whitney is a skilled and knowledgeable Pilates instructor. She discovered Power Pilates in 2005 while earning her Bachelor of Arts degree in Dance. After only a few classes, she realized that her persistent low back pain had begun to dissipate, and the only change in her weekly routine had been adding Power Pilates. Because of this transformation to her own body, she wanted to be able to help others experience this low impact workout with fabulous results. Whitney received her Power Pilates Certification in 2007 and has been teaching in various venues since. She thoroughly believes a Power Pilates workout will transform your body and mind by improving your core strength, posture, flexibility, and reduce chronic weaknesses. In addition to her Pilates training, Whitney has created “Just Dance” dance cardio workouts that incorporate various styles of dance, which are a fun way to burn fat and increase endurance. Alongside her Pilates certification, Whitney attended the Dallas Mania fitness event in 2011 where she first discovered Piloxing. As soon as Whitney took her first class, with a giant smile on her face the whole time, she knew she needed to be able to share this amazing workout with others. She received her Piloxing certification in the fall of 2011 along with a Body Composition and Sports Nutrition Certification. 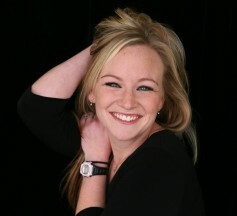 Whitney always wants to expand her knowledge and has completed her Masters degree in Kinesiology. Five Foot Fitness incorporates Whitney’s understanding and experience with Pilates and Dance, which gives her clients the most well-rounded workouts that are sure to inspire, no matter the fitness level!